People's food needs come in all shapes and sizes. 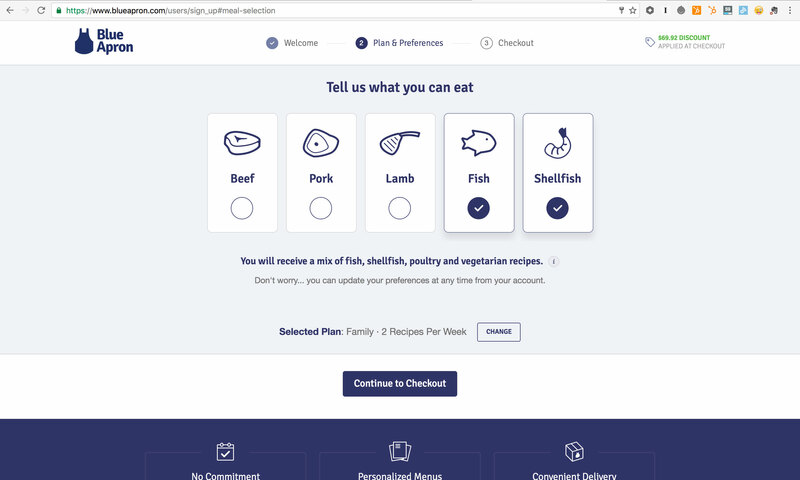 Blue Apron's registration flow for new users does more than lead them to purchase, it lets them personalize their meal plans in an elegant and effective UI. 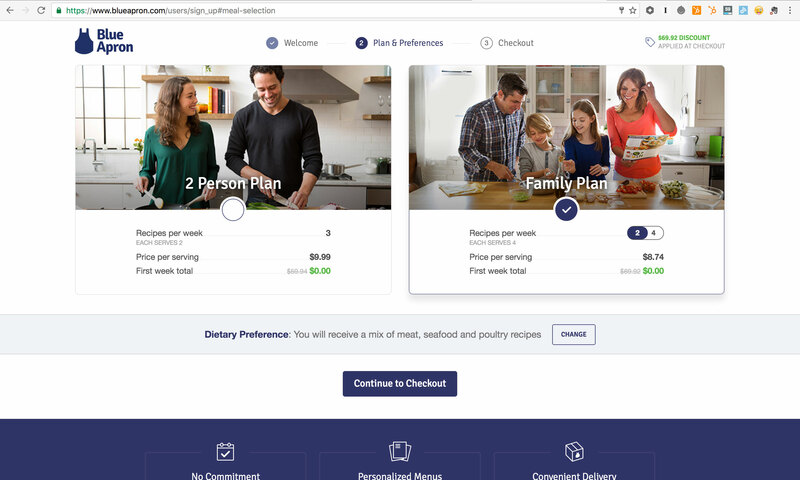 Step 2 - pick your meal plan. Step 5 - an upsell. 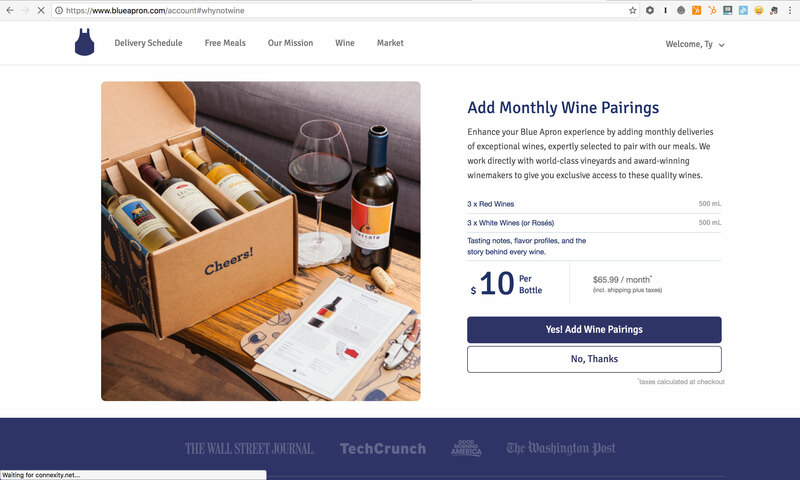 Want wine with that? 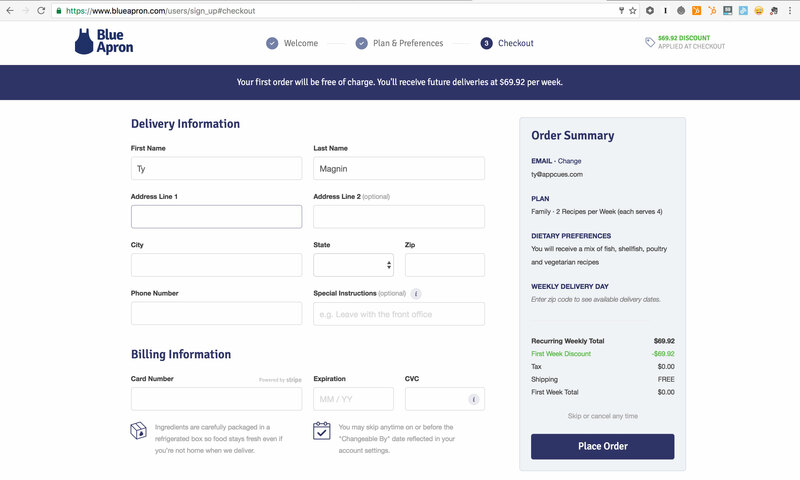 The upsell option after a first completed purchase is excellent. 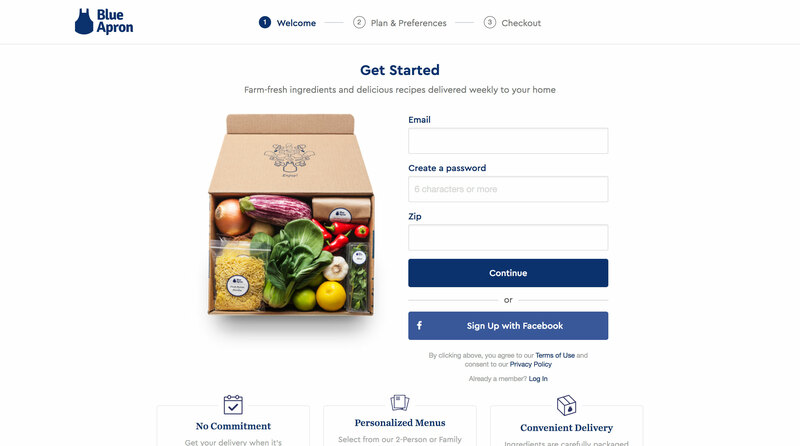 It's likely that a first time Blue Apron users might enjoy this, and even if they don't buy it this time, they're introduced to the upgrade early.